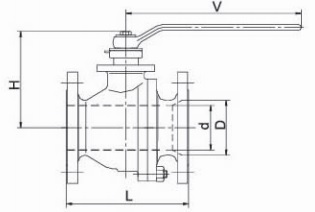 The G.A drawing illustration of metal seated floating ball valve class 150, cast steel 2 piece split body, side entry. 2. Dimensions of metal seated floating ball valve class 150. See more specification of metal seated floating ball valve supplied by Metals Valve.